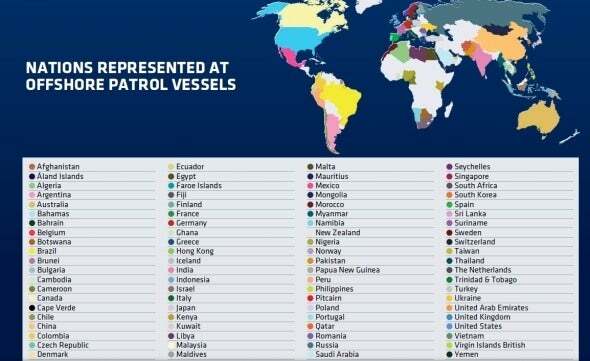 Our International Offshore Patrol Vessels conference, now in its ninth year, is the most well attended patrol vessel event in the world, providing you with the opportunity to meet face-to-face with military and industry stakeholders from the Middle East, Latin America, Africa, Asia, Europe and North America. This year, we are holding the event in Dublin in association with the Irish Defence Forces, represented by the Flag Officer Commanding Commodore Hugh Tully of the Irish Naval Service and Rear Admiral Mark Mellet, Deputy Chief of Staff, Irish Defence Forces. Our proven annual event attracts the most senior navy and coast guard chiefs from around the world to discuss the challenges of maritime policing including piracy, smuggling, search and rescue, pollution monitoring, fisheries protection and EEZ patrol. Through assessing platforms and auxiliary technologies, military delegates benefit from a clear understanding of the best path to balancing capability and affordability in choosing a platform or a piece of technology that delivers optimum mission effectiveness tailored to their own unique needs. With 90% of our expert speaker panel new to this established event, the programme promises to be our most exciting and thought-provoking to date. We hope you can join us in Dublin later this year for a truly unforgettable event. For more information, please contact us using the information below. The International Offshore Patrol Vessels Conference takes place from 30 September to 2 October 2014 in Dublin, Ireland. Register today to be part of this unique event.